You’ve probably seen the movies where a spy sneakily sticks on a pack of cards sized piece of hardware to the bottom of a car, or in the inside of a trunk, and the car drives away, leaving the spy able to track exactly where the car is. But then there are other movies where there is a quarter sized piece of hardware that does the same thing. So what is the difference between these pieces of equipment and the many other types of GPS devices? All of these GPS tracking solutions are effective, but which ones are better for your needs? This type is often the size of a wristwatch and is used by hikers or hunters in case of an emergency. They also often have a button that can send out a signal to request help as well as their position. This typically happens through cellular networks. There are other units that are the size of a cell phone and include a screen so they are both GPS navigation and a tracker. 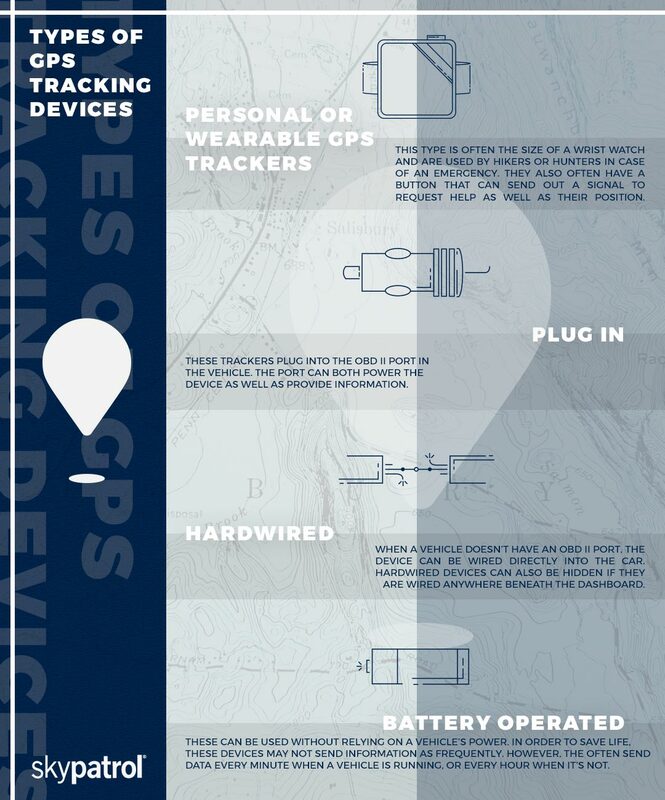 Keep in mind, though, that many of these devices are not actually GPS, but only use a Bluetooth connection, such as small pieces to help you find your keys in your house. These non-GPS devices are lightweight and wearable, but in order to receive any tracking information, you need to be within a certain distance. 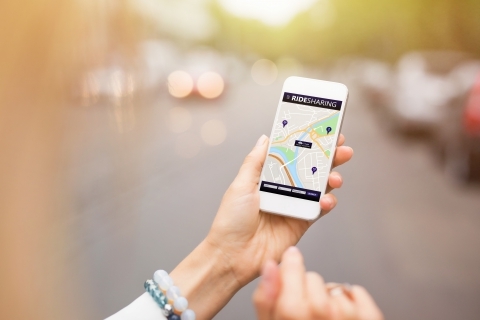 These GPS tracking solutions use a cellular connection to share information they have gathered. Data can then be accessed with a cellphone app for remote users. These trackers plug into the OBD II port in the vehicle. The port can both power the device as well as provide information. When a vehicle doesn’t have an OBD II port, the device can be wired directly into the car. These work well for older cars or for diesel trucks that have a different OBD standard that may not be compatible. Hardwired devices can also be hidden if they are wired anywhere beneath the dashboard. This feature can be beneficial for business owners who want to track and monitor their fleet. These can be used without relying on a vehicle’s power. In order to save battery life, these devices may not send information as frequently. However, they often send data every minute when a vehicle is running, or every hour when it’s not. Sky Patrol offers a variety of GPS tracking solutions, including hardware with various features and benefits. Whether you own a rental car business, sales operation, or trucking company, you can benefit from data-driven solutions. To efficiently protect, monitor, and track your fleet, get in touch with the team at Sky Patrol. We’re here to answer any of your questions about fleet management.